A version of this article originally appeared in the Holiday/Winter 2018/19 issue of OUR HOMES The City of Toronto, p.40. Find local businesses in our Toronto-York Region directory. 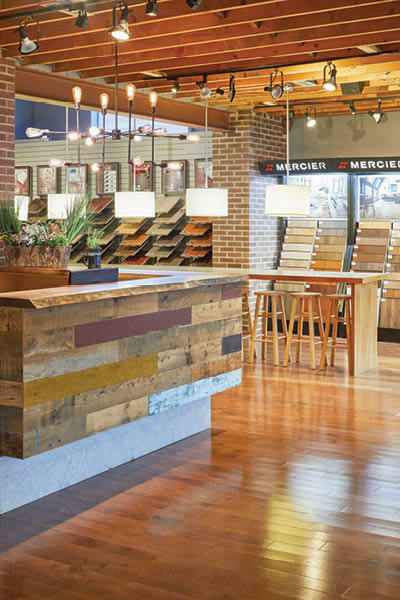 THE PLACE: It’s easy to be inspired when visitors first step through the door at Value Wood Floors. Warm wood tones and rustic beams create a cosy, inviting space that feels like home. 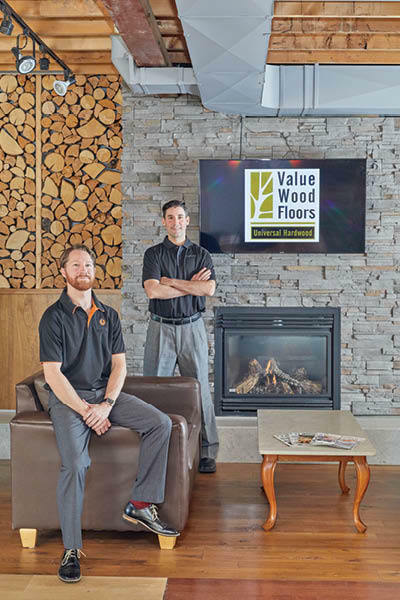 For over 20 years, they’ve provided the best in flooring to customers throughout the GTA. The team continues to learn and grow with what the market has to offer, so they’re always up to date on the latest in industry trends. The showroom’s open, spacious layout allows customers to look, feel and even step on many of the options for a complete shopping experience. 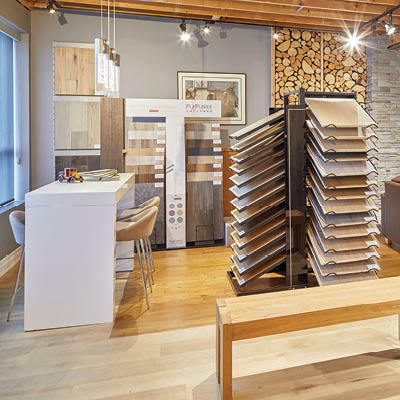 THE STYLE: The full-service company offers an array of quality, Canadian-made flooring options, including Vintage, PurParket, Superior and Mercier. Sales Manager Robert Barnsley and his knowledgeable team help manage the purchase process from selection to installation. The company also offers floor refinishing and a selection of supplies for DIYers and contractors. “We are committed to offering products and services that ensure complete customer satisfaction,” says Robert. WHAT’S TRENDING? 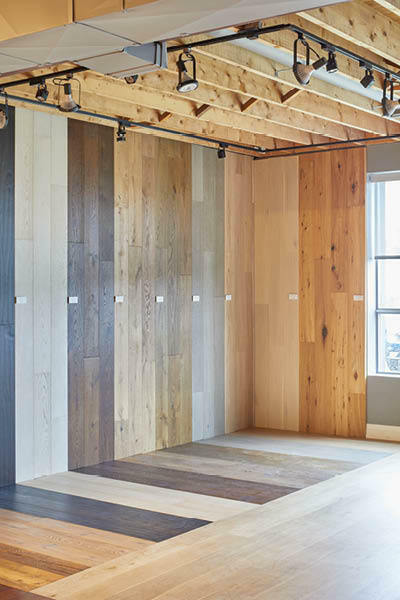 Though wide-plank engineered flooring in mid-to-light tones is still a popular choice, the trend is shifting toward darker, warm colours. When it comes to texture and sheen level, customers gravitate to wire-brushed and matte finishes for a timeless look that’s more forgiving to marks and spills. 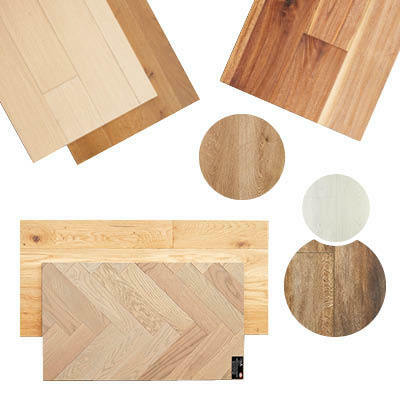 Not your grandmother’s vinyl flooring, the recent advances in today’s vinyl product, with its improved aesthetic and enhanced durability, make it a practical yet beautiful choice.